Mary Tyler Moore provides great insight into learning to live with Type 1 diabetes, including lifestyle moderation, the benefit of diabetic therapy dogs, risks associated with diabetic neuropathy and retinopathy, as well as family challenges that can arise between the newly diagnosed diabetic and loved ones not familiar with the disease. Mary Tyler Moore’s approach to life with Type 1 diabetes incorporates a balance and sense of humor that is both refreshing and inspiring. On May 29, 2011, it will one year since the passing of Dennis Hopper, a legendary American Film Actor and Director. His long career included many notable films including, "Easy Rider" (which he directed), "Apocalypse Now", "Hoosiers", "Rebel Without a Cause", "Giant" and "Blue Velvet". 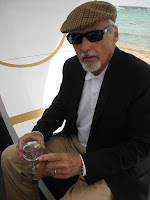 Dennis Hopper died on May 29, 2010 from prostate cancer. His funeral was held June 3, 2010 at San Francisco de Asis Mission Church in Ranchos de Taos, New Mexico. He was buried in a traditional Native American burial style at Jesus Nazareno Cemetery, Ranchos de Taos, NM. On May 28, 2010, a brain hemorrhage ended the short life of beloved actor Gary Coleman at age 42. 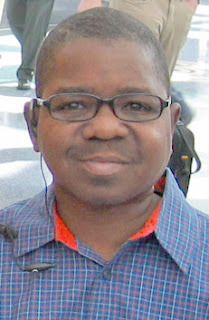 Gary Coleman appeared on the long running NBC series "Diff'rent Strokes" during the 1970's and 1980's. In 2003, he grabbed 12,488 votes when he ran in the California recall election to replace Gov. Gray Davis. Sadly, although it is now one year since his death, no funeral or memorial have been held for Gary Coleman since his cremation on June 17 of 2010 per his wishes expressed in a 1999 will. Presently a legal battle is holding up release of his ashes while his former wife, former business associate and adoptive parents await the Utah District courts decision as to who the executor of his estate is. Ms. Drescher experiences classic symptoms of uterine cancer, though it goes undetected for over 2 years even after visits and examinations by 9 doctors. Fortunately, her vigilance paid off. The story of her plight is informative, encouraging and a good resource for women's health and wellness. Today marked the end of an era for American television. After 25 years, Oprah Winfrey ended her long-running, successful talk show, "The Oprah Winfrey Show." Although the show began as more of a "tabloid" talk series, she moved on to stories that touched the lives of more Americans by covering topics on health, relationships and self-improvement, just to name a few. She also interviewed celebrities on the charities they were involved with. 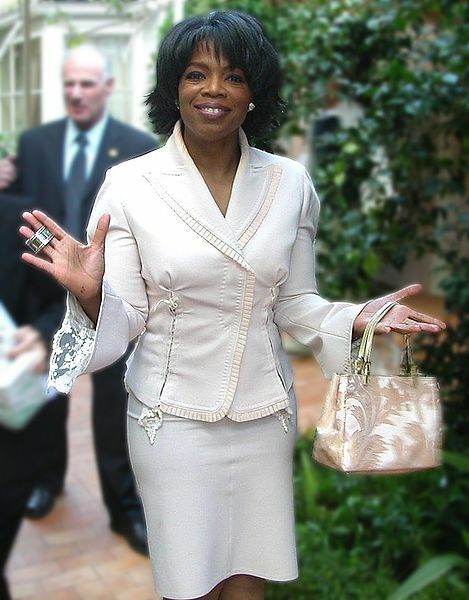 The Oprah Winfrey Show remained the number one talk show in ratings since its debut in 1984. Oprah Winfrey now plans to spend more time on her new television network, OWN (Oprah Winfrey Network). American professional wrestler for World Wrestling Federation (WWF) and World Championship Wrestling (WCW), Randy "Macho Man" Savage, has died in a car crash in Seminole, Florida, at age 58. Early in his career, he played as a catcher for the St. Louis Cardinals, and later as an outfielder for Cincinnati Reds and Chicago White Sox. Savage had a successful 23 year wrestling career, which ran from 1973 - 2005, during most of which, he was accompanied by Miss Elizabeth, his manager and later wife. It's National Police Week (May 15 - 21). Started back in 1962 by President Kennedy, the week recognizes the service and sacrifice of U.S. law enforcement. Last year, about 160 police officers were killed in the line of duty throughout the U.S.
Below is a Candlelight Vigil in honor of fallen officers. Film "How to Die in Oregon." by Peter D. Richardson debuts on HBO on May 26. 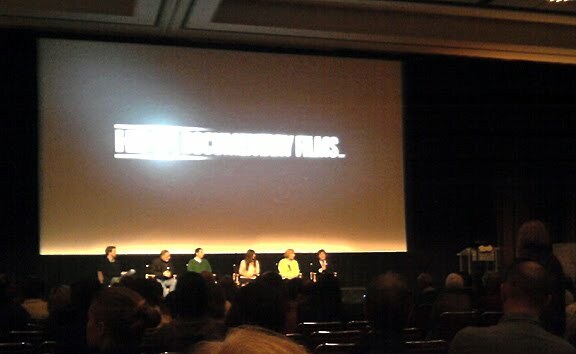 The below is audio from Director Peter Richardson leading Film discussion Panel Wednesday, May 11th at the Oregon Convention Center in Portland, Oregon where more than 700 people were in attendance. The HBO and Compassion & Choices Screening of Peter D. Richardson's Documentary "How to Die in Oregon" on May 11, 2011, drew a packed house at the Oregon Convention Center in Portland, Oregon. The film was followed by a panel discussion from those who appeared in the film and the director. If you haven't seen the film yet, you should. Please view the trailer below for more about the film. 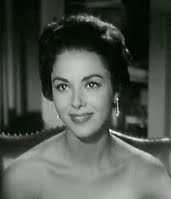 Actress, Dana Wynter has died at age 79. Although her film and television career spanned 4 decades, she is best known as the heroine in the original "Invasion of the Body Snatchers" film. Ms. Wynter died of congestive heart failure, May 5, 2011 in Ojai Valley, California. Watch for Ms. Wynter in her most famous role, shown in parts of the video clip below. Former Bolivian President, Lidia Gueiler, has died at age 89. 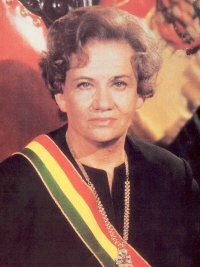 She was the only woman ever to have been Bolivia's president, in office between coups d'etats during 1979-80. Before her presidential term, she served 8 years in Bolivia's congress from 1956 until 1964. On May 9, 2010, Ground breaking, singer and actress, Lena Horne, died due to heart failure. The New York native became one of the first black performers to sign a long-term contract in Hollywood and became an internationally famous singer. She was awarded 4 Grammy Awards, 1 Tony Award, an NAACP Image Award, and more. 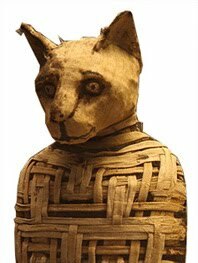 The Ancient Egyptians kept many animals as household pets, including cats, dogs, monkeys, gazelles, and birds. They trained dogs, hawks, and mongooses to hunt with them. Monkeys and cats are often depicted on the walls of tombs, seated beneath the chair of their owner. Scenes of hunting and pictures of favorite hounds are common motifs on tomb walls. These paintings often had magical properties, ensuring that these pets, could join their masters after death. Small faience and wooden models of dogs have also been found in tombs. Pets were not only present as paintings or models. The mummified bodies of pets have also been found in tombs. The ancient Egyptians mummified reptiles and animals such as dogs, apes, bulls, rams, and even an occasional hippopotamus. A certain Hapymen, buried at Abydos, was so fond of his pet dog that it was mummified and wrapped in linen, and placed at the side of his feet in his coffin. In the Valley of the Kings, in tomb KV 50, a pet baboon and a dog were placed so that they glared at each other in preparation for battle. Two women, Isitemkheb D and Ankhshepenwepet had pet gazelles (or in the case of Isitemkheb D an ibex) buried with them. However, one of the most common animal mummies in Egypt was the cat. Developed at the University of Arizona's College of Medicine, Continuous Chest Compression CPR, is a hands-only CPR method that doubles the chance of surviving a heart attack. One of its additional benefits is that it does not require mouth-to-mouth contact.